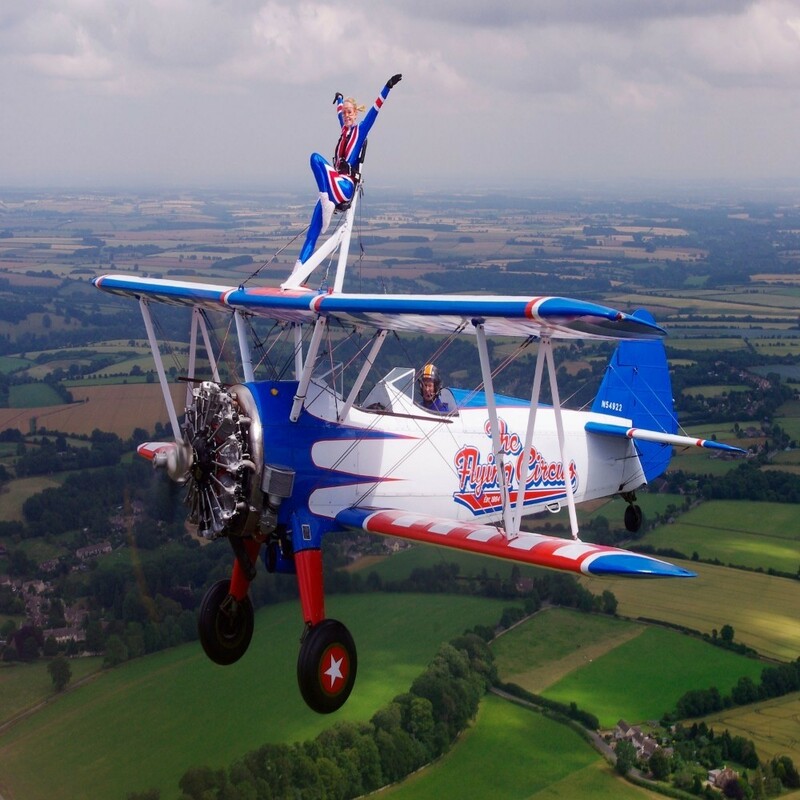 Working alongside the Aerosuperbatics team we are able to offer this amazing challenge for you to experience the thrill of a wing walking ride from this private aerodrome in Cirencester, Gloucestershire for one of our partner charities. Let the people behind the world-famous Breitling Wingwalkers take you up for a flight that’s guaranteed to get the adrenaline going. You’ll stand on top of the spectacular Boeing Stearman bi-plane for the flying experience of a lifetime. With over 30 years in this unique business, the Aerosuperbatics team are the only way to wing walk. Set within a private WWI airfield in the heart of the beautiful Cotswolds countryside, you’ll strap in for an unforgettable series of fly-pasts, zoom climbs, steep dives and banks in front of your open-mouthed friends and family below. A professional wingwalker will be on hand to brief you and make sure you get the most of your time in the skies. Upon arrival, you’ll be welcomed by the team before being briefed ready for your flight. Then it’ll be time to get strapped in ready for your flight. Before you know it, you’ll have taken to the skies for your unforgettable wing walk. Brace yourself as your pilot goes through the motions with a series of climbs, banks and dives. Your booking is valid for 12 months from the date full payment is received. You can expect to be at the venue for at least 3 hours, your flight will last 8 to 10 minutes. The centre holds public liability insurance. You will not be liable for accidental damage to equipment, except where damage has been caused as a result of recklessness or wilful negligence. A cancellation indemnity, subject to terms, is included. Once you have raised the minimum donation the charity will cover the cost of the challenge, which is £399.00 and keep the remaining donation to benefit their charity.